If you are a foreign national and you want to start operating your business in the United States, you face many complicated legal requirements and regulations relating to immigration. One of the most important decisions you face is which type of visa is right for you to pursue so that you are lawfully present and working in the U.S. At the Chicago immigration law firm of Kriezelman Burton & Associates, LLC, we regularly assist business owners and investors in navigating the immigration process so that they can obtain the appropriate visa in the most efficient way possible. The following are some of the options that we pursue on behalf of our investor and entrepreneur clients. A motivation to come to the U.S. that is directly tied to the business. This can be demonstrated by owning at least half of the business or by serving in a managerial or another role that directs operations. Some benefits of this type of visa are that your spouse and children under the age of 21 may also receive visas based on your status. This type of visa is indefinitely renewable as long as you qualify; however, it does not help you obtain a green card. This type of visa is often referred to as the million dollar visa because of the high dollar amount of business investment required. For example, the EB-5 requires that you invest at least $500,000 in a rural area or $1,000,000 in an urban area. The investment must be active and must be in either a new or pre-existing legitimate enterprise. You must also demonstrate that the investment and/or business will create or contribute toward the development of at least ten jobs within a certain period of time. This visa can result in green cards for you and your family; however, it requires a significant amount of capital to qualify. Other Options For Investors and Entrepreneurs. If neither of the above options is right for you, there are many other options our attorneys will examine to help you begin conducting business in the U.S. These can include an H1-B visa and an L-1 visa, among others. We design unique immigration solutions that will help you succeed in your endeavors in the U.S. If you are a foreign investor or entrepreneur looking to conduct business operations in the U.S., your first step should be to discuss all of your different legal options for visas with an experienced immigration lawyer today. At the law office of Kriezelman Burton & Associates, LLC in Chicago, our team has helped many investors and entrepreneurs successfully move their business to the U.S. or invest in an existing business in the U.S. 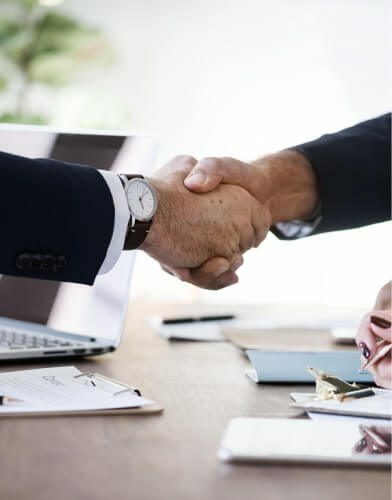 If you are an investor or business owner, please do not hesitate to call our office at 312-332-2550 to find how our legal team can assist you.